My son loves to read. I overheard him on the phone recently, telling his grandmother about the Weenie books and he said something funny. So I emailed the author to tell him. After all, what author doesn't like to be told that a 10 year old fan was telling his grandmother about his favorite author and book series. David Lubar indeed appreciated the comment, offering to send my son a book to review for the blog, and agreeing to let my son interview him. So Zack got to interview his favorite author. I get to share that interview with my readers. And David Lubar? Hopefully he gets some new readers. Zack's review of the new book, Wipeout of the Wireless Weenies, will be posted tomorrow (read the review here). 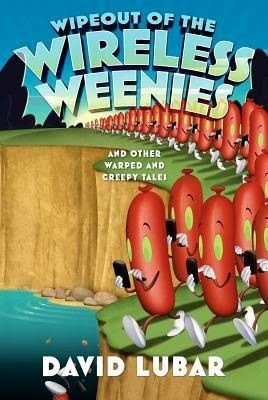 If you're not familiar with the Weenie books, they are creepy short stories with twists in them. There are a lot of these books in this series already - you can find them in your public or school library, at your favorite book seller and through Scholastic. The books are grade level 4, but of interest to grades 5-7, according to Scholastic. Without further ado, here is Zack's interview, which I typed while listening in on the other phone. Q: What’s your favorite job besides writing? A: Being a video game designer, which is pretty cool. I love games and I love creating things, and when you’re designing a game, you’re playing a game but you also have to figure out how to make the game happen. It’s like a gigantic monster puzzle to solve. Q: What inspired you to be an author? A: The biggest thing was my love of reading. The second biggest would be my big mouth because writing is a lot like talking on paper. Q: What’s your favorite book or story you’ve written? A: That’s tough because I’ve written a lot of them. One is Dunk, a novel about a kid who wants to work in a dunk tank. It’s hard to pick a favorite short story because I’ve written about 300 of them by now. Q: How much time does it take you on average to write a short story? A: If I have a good idea and it flows, and I write it one sitting, an hour or two for the first draft. I’m a heavy reviser. I don’t have a teacher telling me turn in two versions or I won’t get a good grade. But nothing comes out of my head very easily, so I bang it out, and then I go back and give it a lot of revision passes. I don’t have a lot of patience. I want to zip through it and make a lot of changes. It’s in my mind for a long time, because I’m going over it many times. A: Katherine Paterson, Bruce Coville, Robert Parker who wrote my favorite series of mysteries, and JohnSteinbeck, because who doesn’t love John Steinbeck. Q: What’s your average daily routine? Q: Where did you get your cats? A: We got our cats at a local pet store that has strays that are up for adoption. It’s not a kitty mill and it’s almost like getting them from a shelter except it costs more. Q: Have any of your books got published on your first try? A: Once I broke in and got published, which was a long and difficult process, I was sometimes able to show a book to my publisher and they like it. But I still have things that get rejected. Part is because I write a whole bunch of different types of books, and I love that. I try new things. Q: What gives you the names for your books? A: With Lawn Weenies, my editor thought that was a funny title. They contacted an artist, Bill Mayer and they picked the perfect guy. The cover was so cool so that when it was time to do another collection I asked to do something similar. My editor said it would be funny to do a camping cover, so I came up with a story about a campfire weenie. 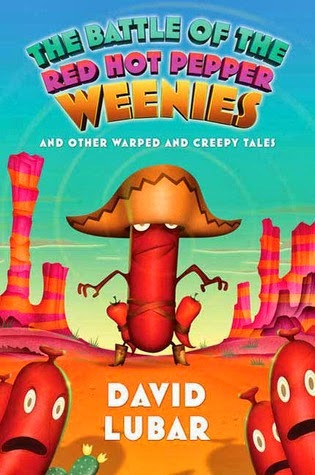 With The Battle of the Red Hot Pepper Weenies I already written a story, and knew I needed a weenie one. I looked at all the stories to see which would fit the category. With Attack of the Vampire Weenies and Beware the Ninja Weenies, I wanted a vampire and I try to think of who would be a good weenie. And all the people with their tech things walking around with their phones, falling off a cliff (Wipeout of the Wireless Weenies). Q: What’s the favorite question you’ve ever gotten asked in an interview? A: I’m often doing Q&A at a school. I’ll be asked a whole bunch of question and in the middle will be this amazing great question, and I’ll answer it but since I go on to the next one and forget the question because of my short term memory. Q: What advice do you have for kids who want to write? I write stories in your style. A: We learn by imitating other people’s styles but eventually you find your own voice. Pay attention to what you read and if you like it, stop and figure out how the magic happened, what that author did to make you like it. If you don’t like it, ask why you’re not enjoying it. What did the author do that I can learn from? Read a lot, write a lot. Don’t be in too much of a rush to be published. When I went to school, they taught boys and girls very different things. Girls learned to type and boys didn’t. They thought girls would all be secretaries, which was stupid. I deeply regret that I type with two fingers. Even though it doesn’t apply directly to the process of writing, if you can learn to type, you have a better shot at it at your age, I strongly urge you to learn that skill. Q: How have the covers helped your books? A: (The Weenies) are a tough cover because it’s very appealing and it gets people to pick up the book, but it also gets parents to say ‘no, pick up a real book.’ They think it can’t be good writing. None of those stories are quickly polished. They’ve all been crafted. They come from a literary tradition inspired by many different types of books. You’ll find hints of James Joyce and James Thurber. My writer friends who are parents tell me stories about seeing kids at book fairs pick it up and the parents tell them to put it down. Anecdotally, I’ve seen one person online who was running a book fair say these are garbage books, including Guinness Book of World Records. These are good books. I was heavily enthralled with the Ripley's Believe it or Not books. They’re totally awesome stuff. I’m pretty sure that the person who wrote that had never read the books. I write for smart kids, which means I write for all kids. Q: How did you start working with computers? A: I got into computers because it’s cool. (Through a friend, Atari offered me a job) making games for three times the salary of a magazine editor. It taught me discipline. Sixteen hour days were nothing; they grind up and spit out workers. I learned to work as long as necessary to get something done. I also learned it was better to fix something that was wrong than to patch around it. That applies to writing as much as software. Q: (from Zack’s mom): How can teachers use your books? A: I know a lot of teachers who use them in the classroom as rewards at the end of the day. On my website, there’s a Weenies literary index for teachers, with 400 topics, like a language arts index. 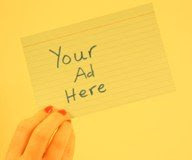 If they want a story that contains metaphors or similes or alliteration, they can find it. Parting words of wisdom: If you like math and you like words, you will tower above the rest of humanity. Just be a benevolent ruler. 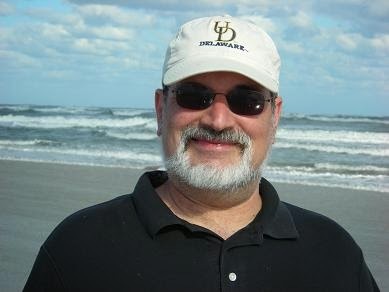 To learn more about David Lubar, visit his website. To read the review of Wipeout of the Wireless Weenies, click here.